These lenses are, as the name describes, meant to be worn daily then disposed of at the end of the day. Putting on a fresh pair of lenses every morning allows the lenses to stay clean and avoid eye irritation. The lenses are thin and water like. That means they stay moist throughout the day but can really only be worn once. 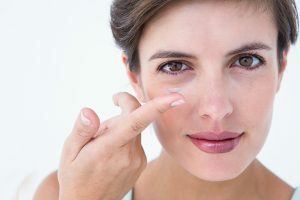 Dangerous calcium or hairspray deposits, normally associated with bi-weekly and monthly contact lenses, are no longer an issue, and the chances of developing contact lens-related eye infections, normally associated with monthly and bi-weekly contact lenses, become almost a non-issue. We have found that more and more patients are requesting daily disposable lenses and now, the majority of our contact lenses wearing patients at our Poway location is wearing daily disposable lenses. Based on the fact that the daily disposables are a healthier fit for the eye, causing less dryness and redness, we like to recommend these contact lenses to patients. Obviously, it depends on a person's budget and lifestyle and it is a decision we can ultimately make together. Call us to book an appointment to discuss what works best for you. 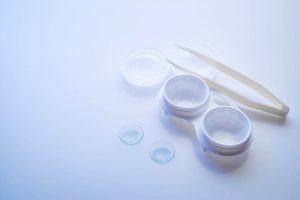 It should be noted that many disposable contact lenses, of all varieties, also offer tints and colors that may accent your natural eye color or change your eye color altogether. Those with Presbyopia normally would need to have bi-weekly or monthly contacts, although new daily disposable options are also beginning to emerge. For more information, speak with your eye doctor today.